Xamarin.iOS and Xamarin.Android exist in a mingled area between .NET and the pure native platforms. Xamarin.iOS strikes a middle-ground between a Xamarin.Forms (a more total .NET experience) and native iOS (where you're beholden to the native language and APIs). You'll often find yourself writing C# code that interacts with Native iOS APIs which Xamarin has ported to their platform. While it's initially an odd experience if you're coming from Xamarin.Forms, it offers a lot of flexibility and power. 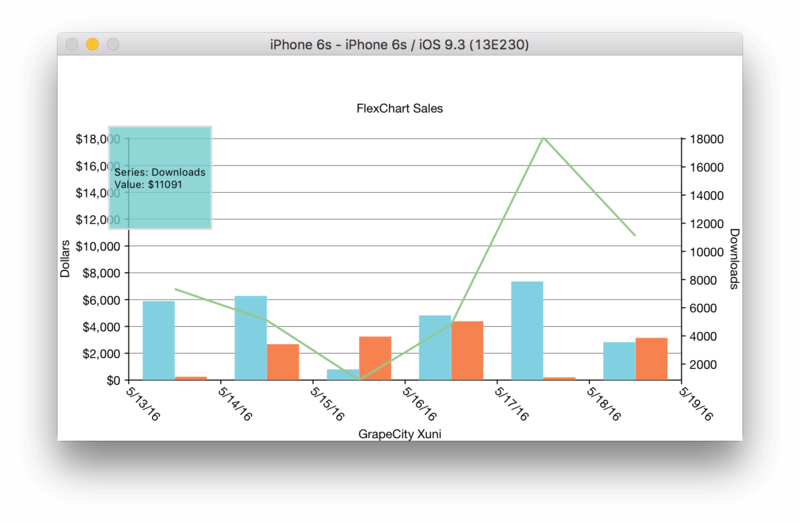 Today, we'll take a look at using the Xuni FlexChart in Xamarin.iOS. Xamarin.iOS projects are structured similarly to native iOS projects in XCode. There are ViewControllers for each screen in your app, and a storyboard for setting up navigation between your ViewControllers. Just like on native iOS, you'll be placing all of your UI code into these ViewControllers. It's also worth pointing out that the native API's (UIKit, Foundation, etc.) are visible in these ViewControllers, and, though you're writing C# code, you need some knowledge of how the native APIs work. The Xuni controls in Xamarin.iOS are no different. Though you're writing C# code to interact with the controls, the controls themselves are very close to their native counterparts. There's generally less abstraction here between the native control and your C# code compared to Xamarin.Forms. If you're curious about that binding process we have an article that explores the topic more completely. The important detail to take away from this is that the controls tend to behave closer to their native counterparts compared to the Xamarin.Forms versions. 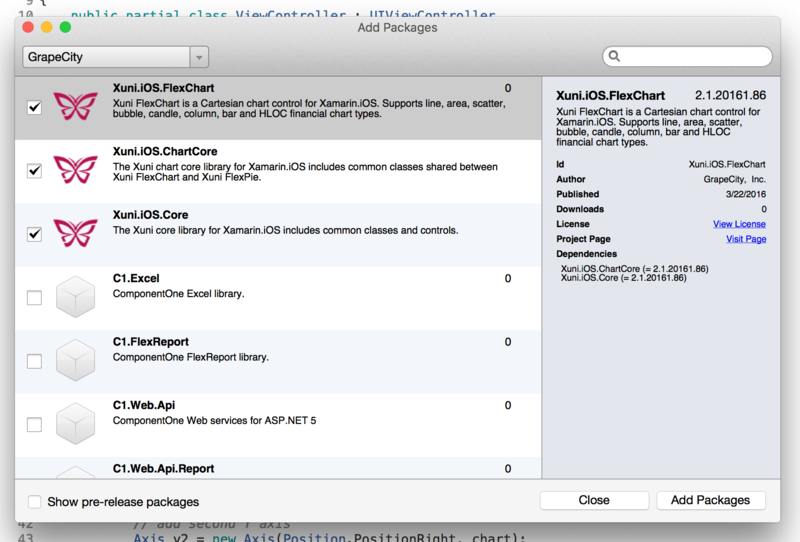 Adding Xuni to a Xamarin.iOS project is similar to Xamarin.Forms. All that you need to do is add the appropriate NuGet packages to your project. Just be sure that you add the controls that follow the naming convention Xuni.iOS.. Using Xuni in Xamarin.iOS gives you the same basic capabilities that you have natively, but allows you to keep all of your code in C#. While using Xamarin.iOS does require some knowledge of the native APIs, it provides you much more control than is otherwise available in Xamarin.Forms.